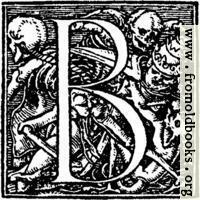 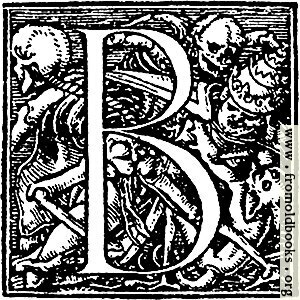 This decorative initial letter “B”, or drop cap, is from an alphabet designed by Hans Holbein and dating from 1523. 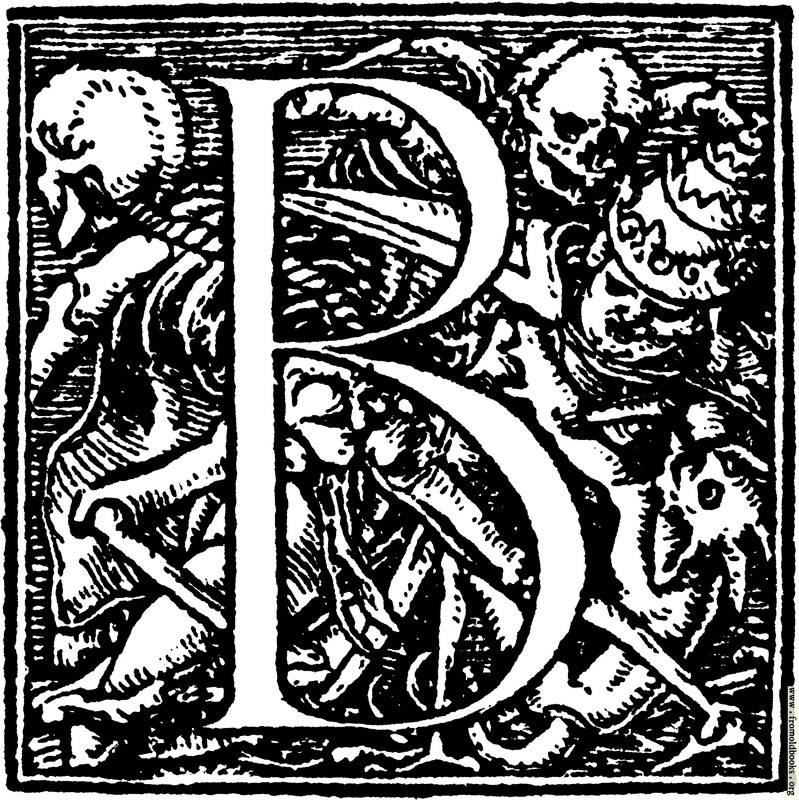 It features two skeletons, or death-figures, a dog and a pope. Some commentators say the dog is actually a demon, trying to keep the pope away from death and hence alive.